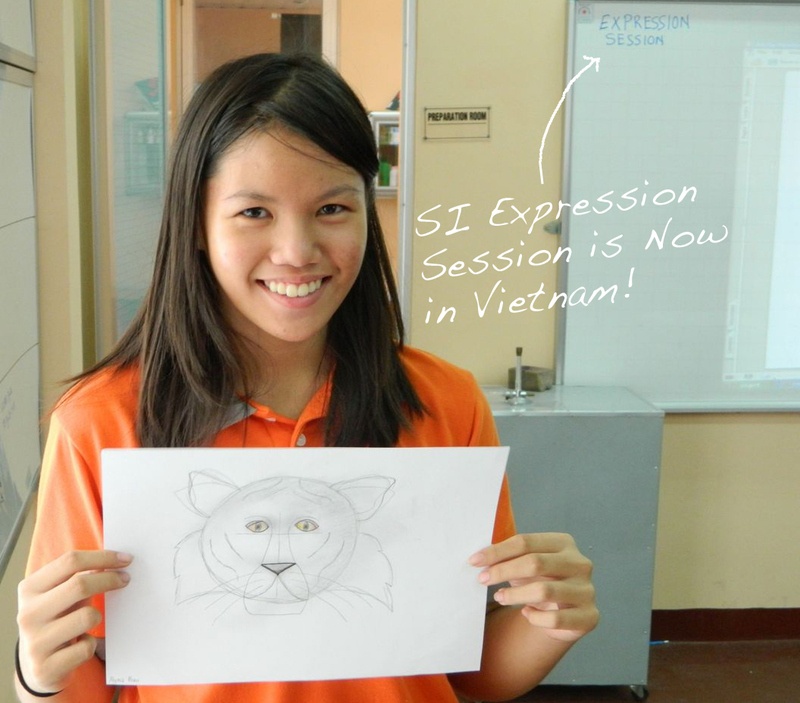 SI Currents: Drawing in Vietnam; Scribbles Institute and MAH; Save the Frogs! 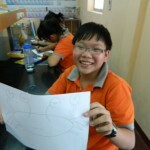 Rob Court, drawing coach, has a friend who recently moved to the city of Da Nang in Vietnam, to teach math. 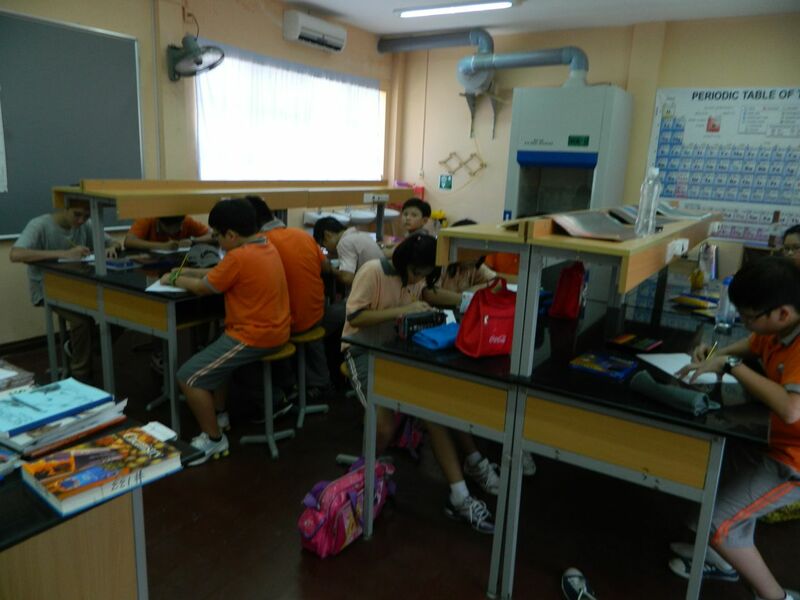 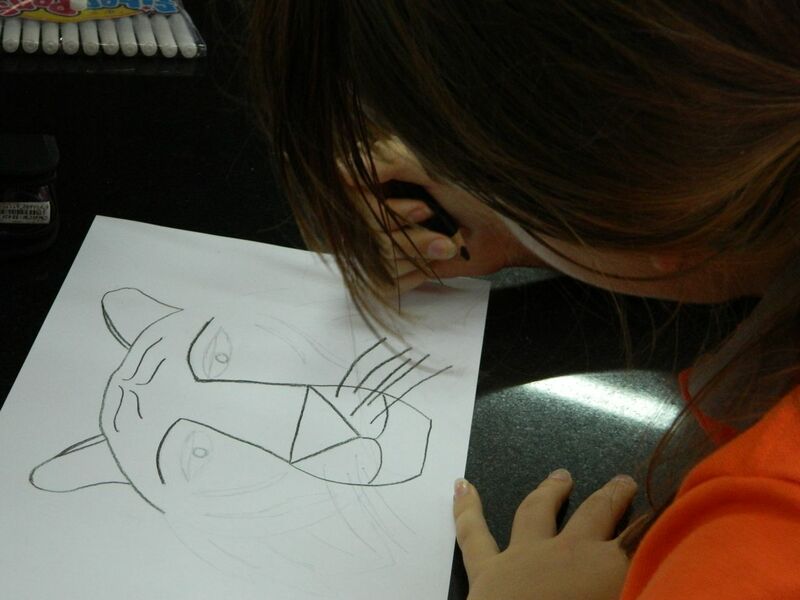 Rob’s friend, Harry King, suddenly found himself teaching an art class to 7th and 8th graders at the Singapore International School. 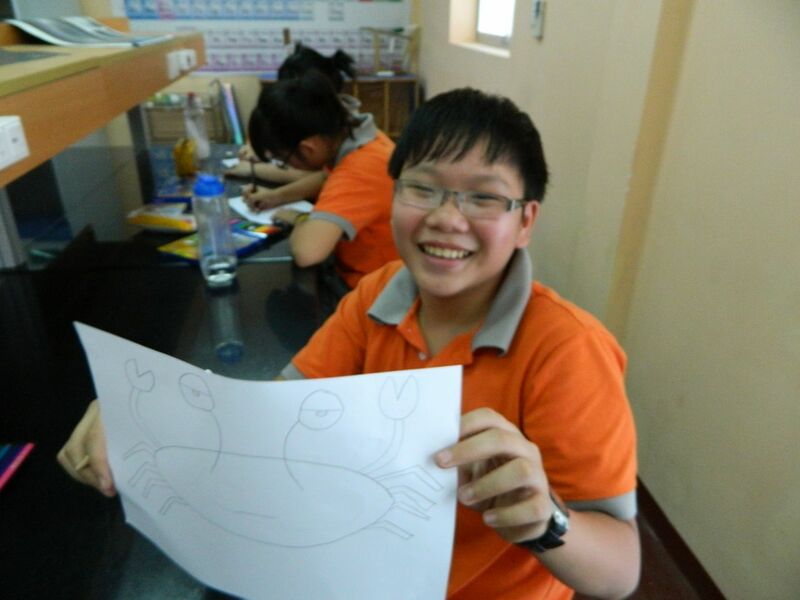 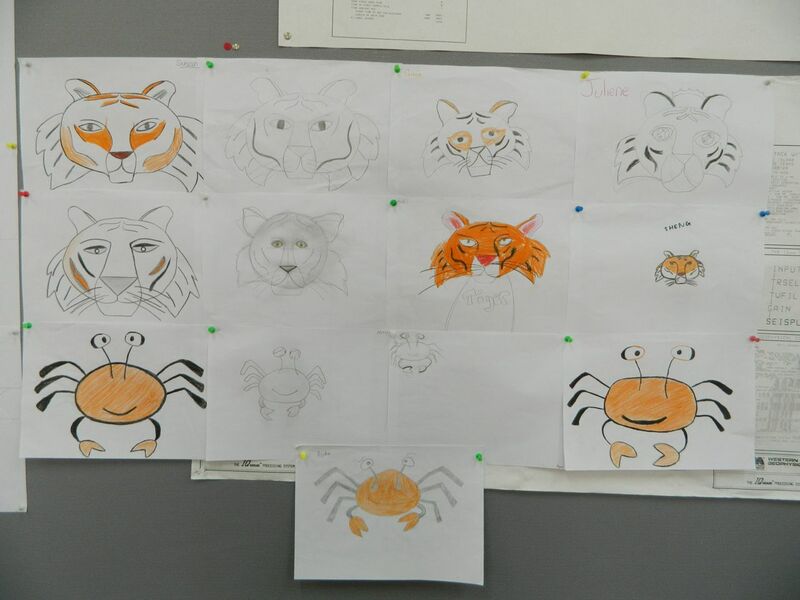 The new responsibility prompted Harry to email us, asking for basic drawing lessons he can use for the class. Turns out to be great timing. 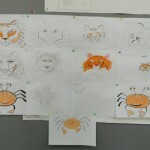 The Scribbles Institute is in the process of developing an online drawing community for teachers, parents, and students. 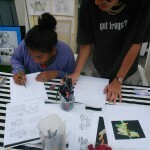 We’re also producing a series of how-to-draw iBooks and eBooks to be released early spring of 2013. 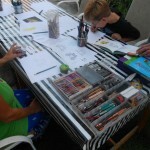 So we sent him lessons from our high school Draw to Learn program to serve as a foundation for Harry’s class. 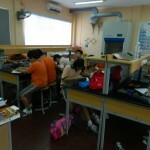 As shown in the above photos, teacher and students are off to an excellent start! 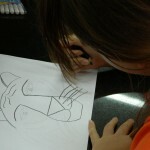 Our online community will feature online access to Rob and forums for teaching basic drawing skills in schools. 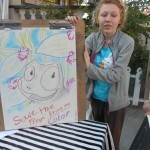 Watch for announcements in the future. 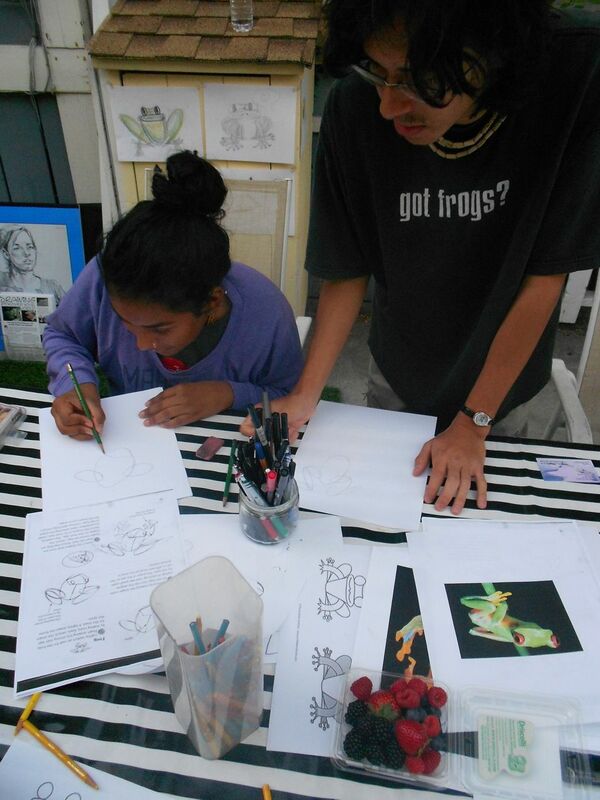 In our efforts to promote drawing in the Santa Cruz community we’re proud to be involved in two events this Fall with the Santa Cruz Museum of Art and History (MAH). On September 21st, Rob Court will be a part of the MAH Third Friday event called Art in Motion. 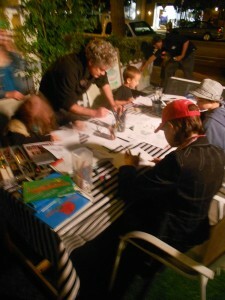 Rob’s “Take a Line for a Walk” drawing activity will be running from 5-9pm. 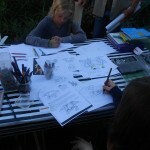 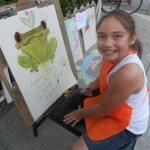 Drawing For a Cause: Save the Frogs! 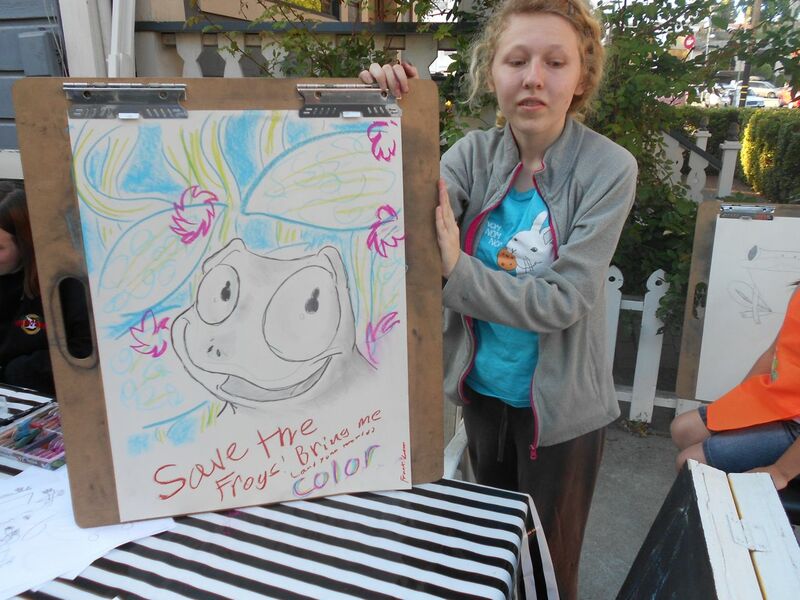 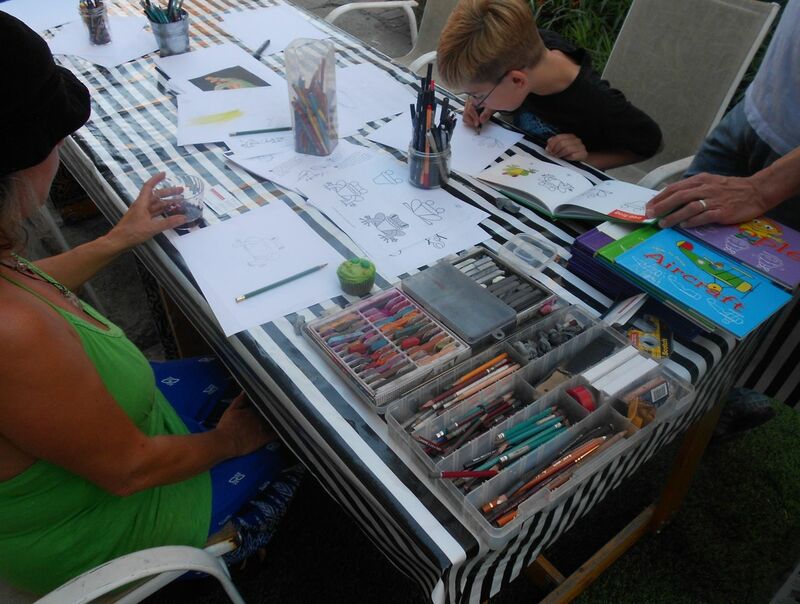 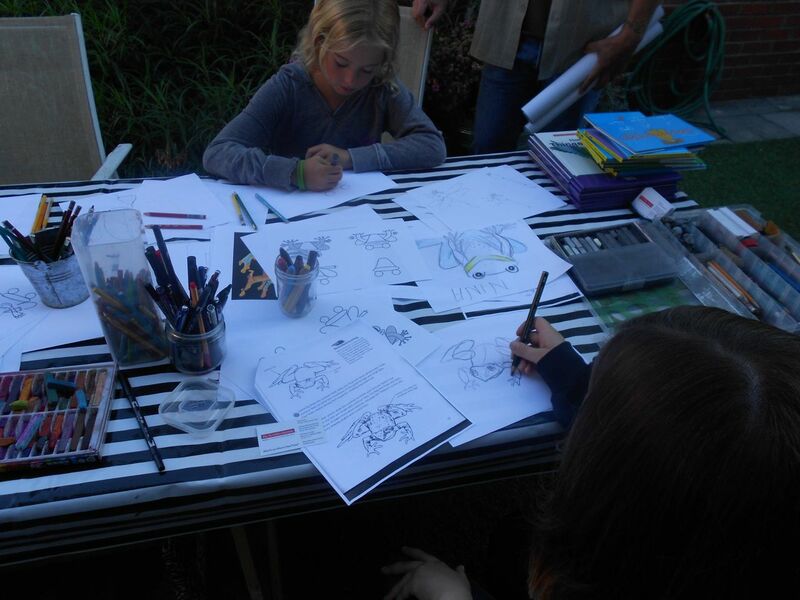 Dr. Kerry Kriger, executive director of Save the Frogs attended one of our First Friday Art Tour Sketch Parties and loved the warm and sketchy vibe produced by all the drawing activities that night. 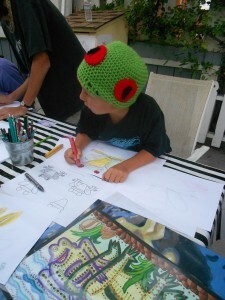 He also enjoyed learning how to draw a frog. 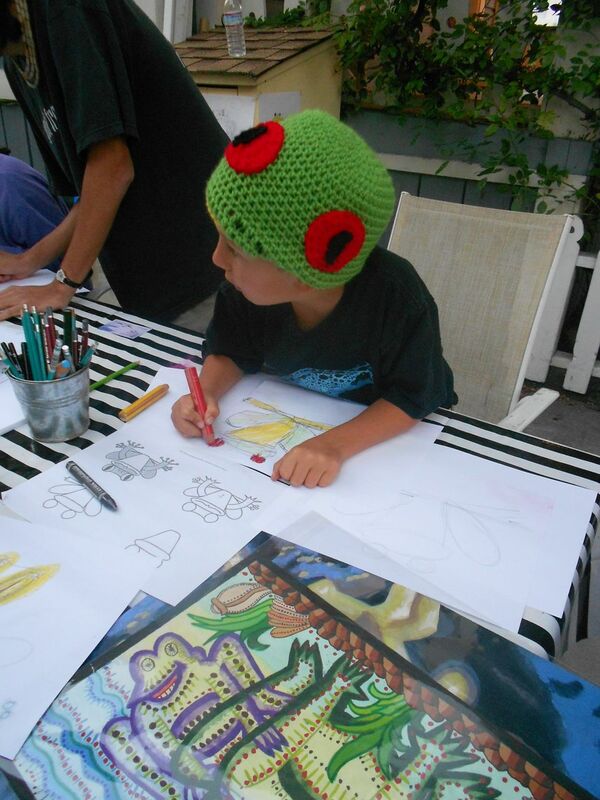 He asked Rob to give lessons at the inaugural Save the Frogs Art Show on September 7th. 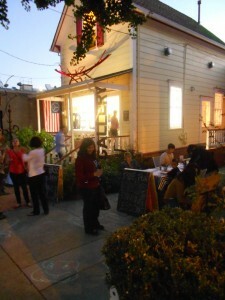 The fundraiser event was at Art du Jour in downtown Santa Cruz. 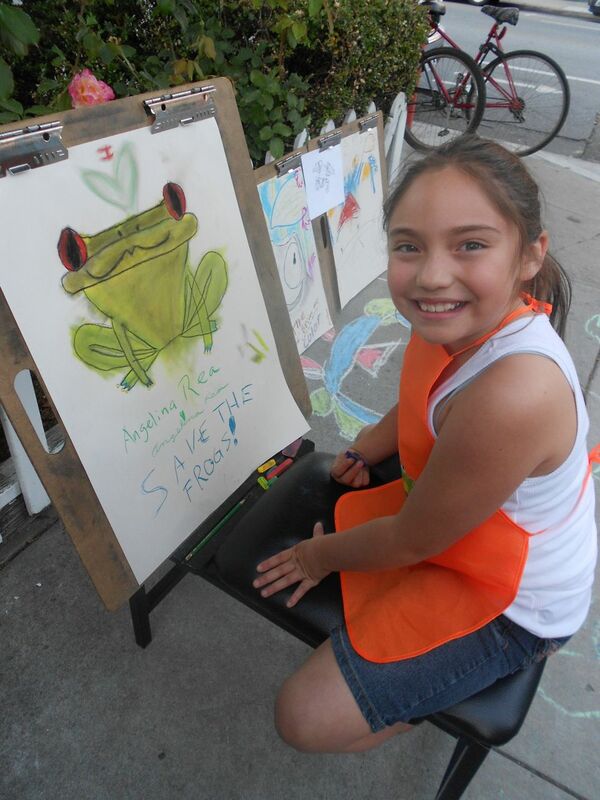 Lots of amphibian lovin’ folks, young and old, stopped in to draw frogs, buy some cool art made by kids the world over, and partake in the fun for a good cause.